Andrew Shebanow didn't imagine that asking for feedback about how Palm's app store should work would open up a flood of input. He also didn't expect the move would change his job description. But now both have happened. On Jan. 8, Shebanow, who is working on a third-party application distribution system for Palm's new webOS operating system, posted an item on his blog looking for input from developers on how that system should work. He threw out a few questions, such as: how should application updating and installation work; should Palm offer payment processing or leave it to third parties; should application trials be available; and how should Palm handle featured applications? By Wednesday, he had removed the post, replacing it with one saying that its popularity had caught him and Palm by surprise. "My boss has asked me to hide the post while management decides what they want me to do about it," he wrote. Now, Shebanow has posted another note saying that the discussion about how the app store should work will be allowed to continue, but at Palm's new developer blog. In addition, Shebanow has been volunteered to work on developer outreach. The incident and the reactions of developers along the way are a sign of just how far the mobile software industry has come but also an indication that developers hope it will continue to evolve. 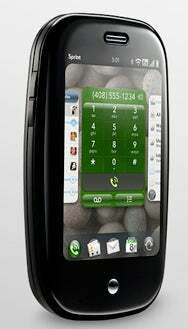 The Palm Pre, the first phone to run the company's new webOS operating system. Initial reaction to the first blog post was excitement that Palm would be asking for input. One person wrote: "I wish Apple allowed posts like these." Apple has sometimes been criticized by iPhone developers who complain that Apple doesn't communicate well with them. That was followed by dismay when the post was pulled. "The post might have been slightly troublesome or concerning to your bosses in some ways—fine! Strike out some of the sentences, revise it (in a transparent manner if you need to) but don't pull it when it was just getting Palm accolades by doing things in a more open way!" one person wrote. The legitimate suggestions about how the app store should work are telling too. Many of the suggestions to the first blog post, still available through Google's cache, recommend that the Palm app store feature improvements on the way Apple's iPhone App Store works. Apple's system was revolutionary in the mobile industry, opening up development to essentially anyone and letting iPhone users buy and download applications directly to their phones. But, as some people commenting on Shebanow's blog point out, the iPhone process has some downsides. One is that developers have to pay $100 to join the developers' program; people on the blog suggested that Palm's program be free. Another request was for the Palm store to allow trial downloads so that users can be sure they want an application before paying for it. The iPhone App Store doesn't have a mechanism for allowing trials. One person suggested that Palm rank applications by quality as a way to make it easier for users to find good applications. That could solve a new problem with the iPhone store where it's grown difficult to find great applications since there are now more than 10,000 available. Palm introduced its new operating system, webOS, and the first phone to run it, the Pre, at the Consumer Electronics Show last week. The phone is expected to become available some time in the first half of the year and Palm has revealed only minor details about its planned application store.